A last-minute, 2-ingredient DIY host gift -- or a party trick for your own New Year's celebration. Either way, you'll start 2015 making an impression. Jeffrey Morgenthaler of Clyde Common shows us his 5 favorite takes on the spritz -- all perfectly refreshing for a sweltering summer day. New Year's might be behind us, but the bubbles don't have to be. How to pick a wine that's as special as this year's grad. Some things just go together -- and the obvious accompaniment to food is drink. Welcome to Booze52, in which we explore all manner of libations, from A to Z, that do much more than just wash down a meal. 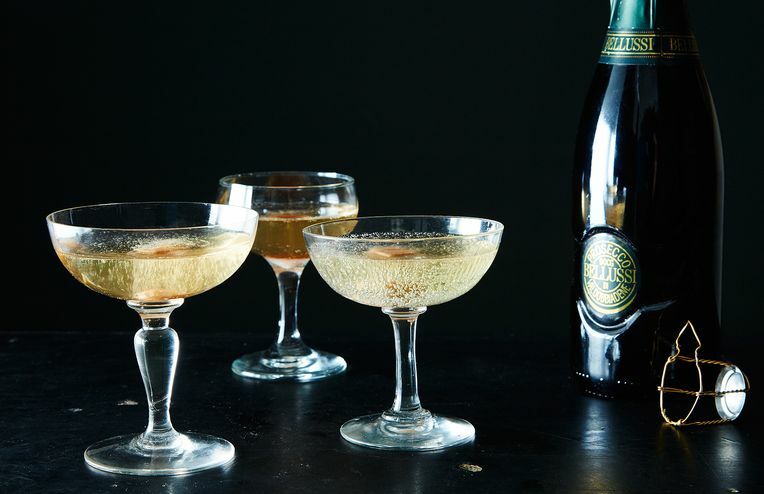 Today: Toast the New Year, with a twist. C is for Champagne Cocktail, which comes after M for Milk Punch in our world. It’s the holiday season, and we can drink what we want, right? New Years just isn’t the same without a toast.